Miami vacation rentals are not regulated by the common real estate laws of Florida. Short term rentals in Miami are classified as public Miami Beach lodging establishments and are treated the same way as hotels which are regulated by Florida Statute Title XXX111, Chapter 509. Often times there will be stipulations outlined in the contract that when violated may result in immediate termination of the contract. Guests of the Miami Beach lodging rental must then vacate the premises immediately. In some cases the local police department may be called to assist with the eviction. Guests that book Miami Beach lodging have the right to enjoy their vacation rentals in peace. 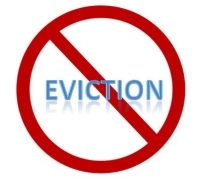 At the same time, guests are expected to conduct themselves in a manner that is not disruptive to other guests or they risk the possibility of eviction.